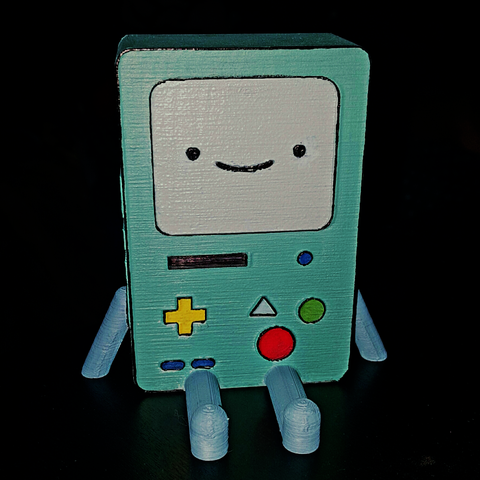 This is a 3D printed BMO. I created this as an exclusive model for Pinshape as I was nominated as their Designer of the Month for April. Unfortunately the site announced they were shutting down (update: maybe not?). 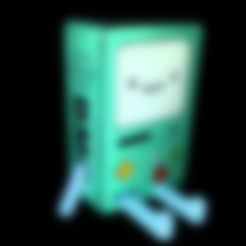 So I'll be posting the files on other sites. I also wrote a blog post for them. As for the actual model. I modeled it in Tinkercad. I designed it to be easily printed in one piece with no supports needed. I printed it on my Robo 3D R1 with Hatchbox White PLA.